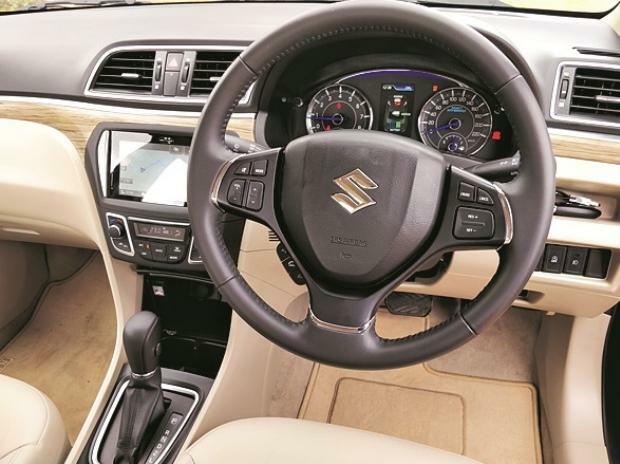 Maruti Suzuki India (MSIL) on Friday reported a 17.26 per cent fall in its net profit at Rs 1,489.3 crore for third quarter of FY19. The carmaker had reported PAT of Rs 1,800 crore in the year-ago quarter. On QoQ basis, the figures fell 33.5 per cent. Total revenue from operations stood at Rs 19,668.3 crore against Rs 19,283.2 crore in the year-ago period. Basic EPS (earnings per share) came in at Rs 49.30 against Rs 59.56 in the corresponding quarter previous fiscal. Following the results announcement, shares of the company slumped nearly 9 per cent to Rs 6,420 levels on BSE. The company mentioned a slew of headwinds that affected its performance during the quarter under review. They include adverse commodity prices, adverse foreign exchange rates, higher marketing & sales expenditure and higher costs in resources and capacities which were earlier planned to enable a higher estimated growth . EBITDA margins were down by 600 basis points (bps) YoY primarily tracking increase in raw material, employee as well as other expenses. The company grew by 7.2 per cent in the first three quarters and by 0.4 per cent in the third quarter in unit wholesales. In addition, the company helped dealers retail about 90,000 vehicles in excess of wholesale to keep dealer inventories lean as the festive season sales growth was below expectation. "Passenger vehicle exports from India also declined by 8.5 per cent owing to weakness in global markets, protection in some markets and devaluation of most currencies with respect to the US dollar," the company said in its press release.